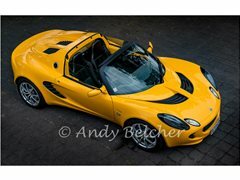 I have at my disposal a rare Lotus Elise sports/race car and would like to photograph it on the move and stationary in some scenic locations. I'd also like to do some aerial views of it with my drone. This will involve the best part of a day out in the car with a stop for lunch. No set dates at this stage. The shoot day is negotiable with the model and the weather! Female model for sports/race car shoot. I need one female model dressed in some leather gear or maybe a catsuit/race suit and helmet to be strapped into the car, standing in front of it and possible lying beside it for overhead shots. Female Models Required for Bay of Plenty Alt Photo Book Project.